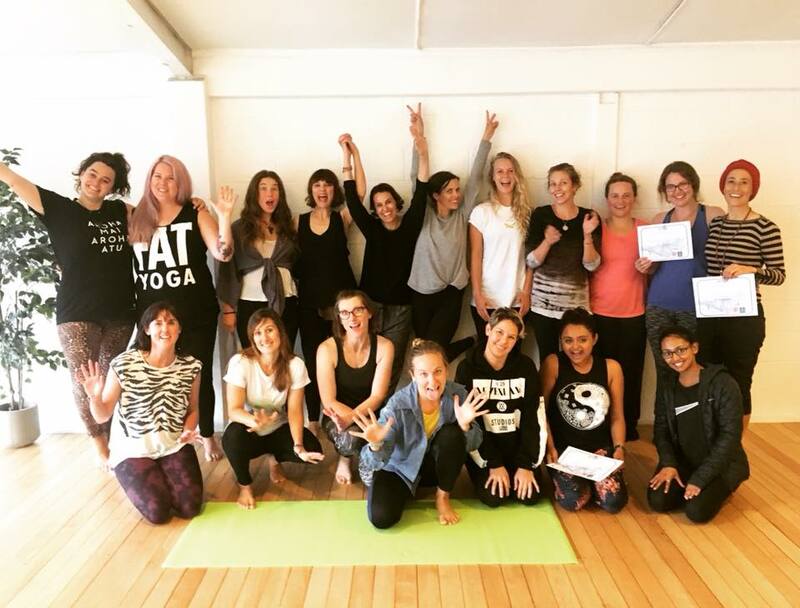 The URY CommUNITY—who, with kindness in their hearts and great ideas in their minds, are ready to roll up their sleeves and offer the UpRising Yoga Model to their communities in their own unique way with Trauma Informed Yoga Services..
Can you imagine how much positive change we could inspire in 2019 if each of these changemakers had the support they needed? If we are spreading our work further? That idea drives this organization. 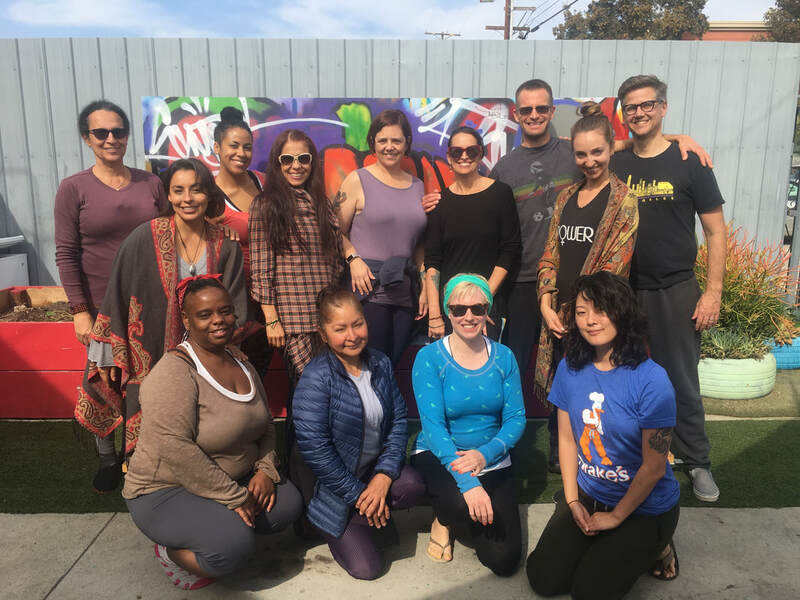 That is how we help emerging leaders to bring yoga to those incarcerated and underserved communities. What will we create together in 2019? How many communities can we strengthen? Give now to help make sure the next generation of leaders have the support they need to create real change. YOU make a difference. 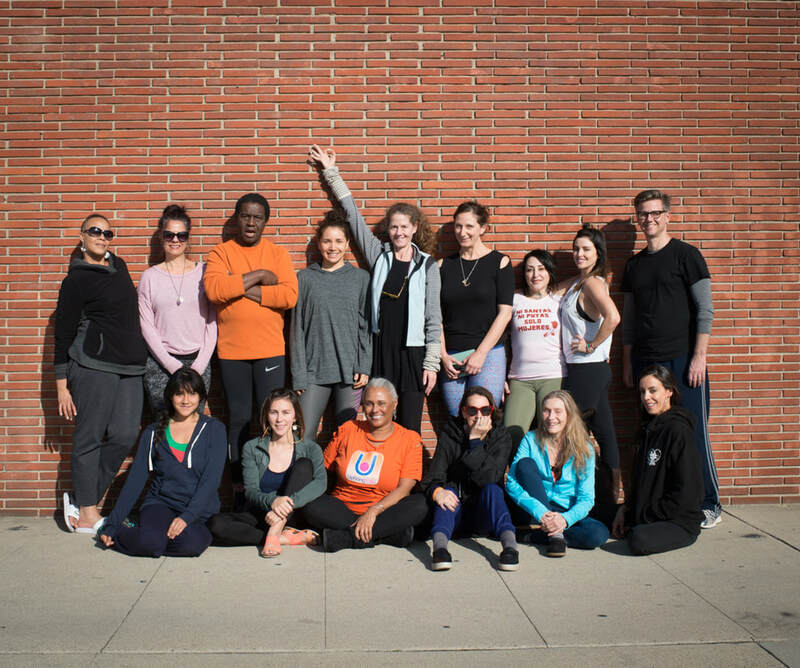 Thank you for your tax-deductible donations to UpRising Yoga! 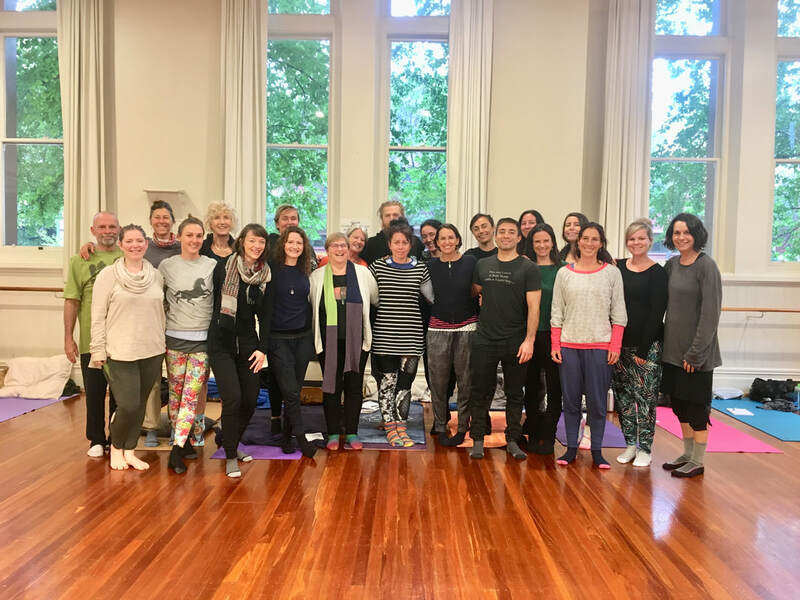 Below are photos of all of our 2018 trainings : Top Left Los Angeles March 2018, Los Angeles Oct 2018, Ann Arbor, Michigan, Auckland, New Zealand, Dunedin, New Zealand and Adelaide, Australia! 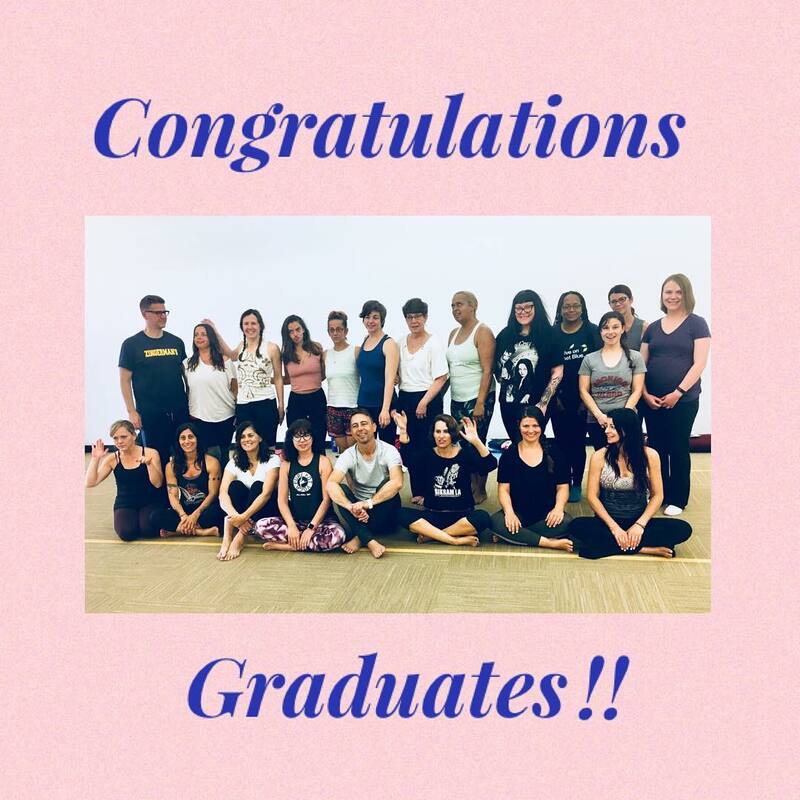 Thank you to our beautiful community of ongoing free yoga classes, to the students and teachers and partners...and all the wonderful events, thank you to those who held fundraisers for us and all who participated, we love you! 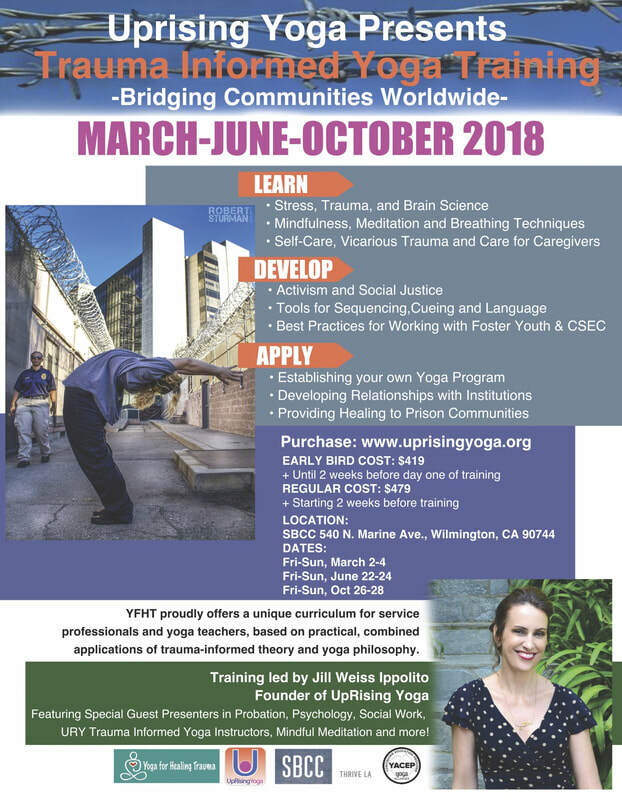 Not shown are the many private yoga classes and events not open to the public at Central Juvenile Hall, Camp Los Padrinos, Beach High School, and Our House, a teen grief camp where mats were donated by Give Back Yoga Foundation and more! 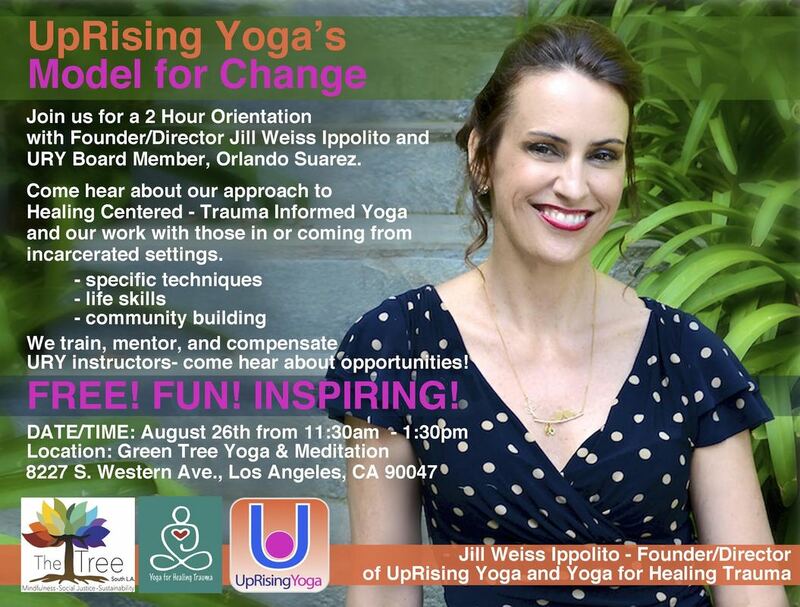 We offer presentations to service providers and social workers at many group homes and thank you for inviting us to share our work and help to offer the UpRising Yoga Model. Im writing you all with some tender emotions. 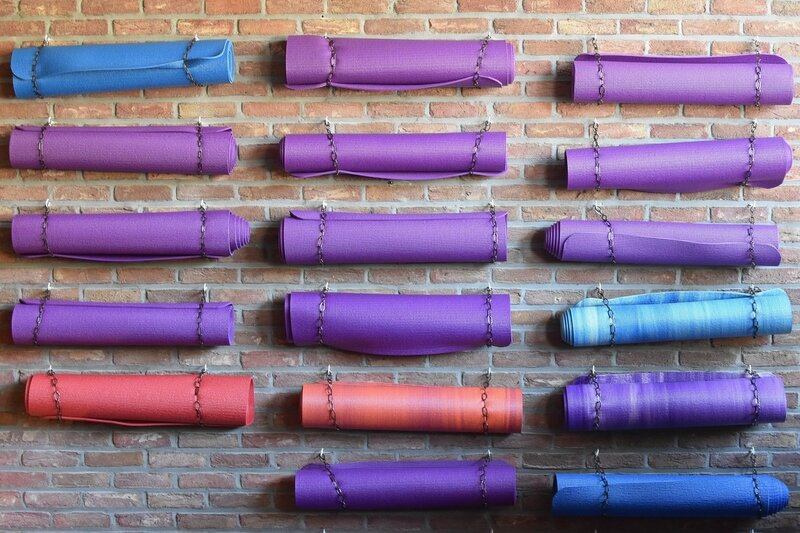 As you may know, UpRising Yoga will be taking a temporary pause as we decided to take a break from our direct services in order to regroup, heal and recharge. Let me explain to you what that looks like and where things stand. 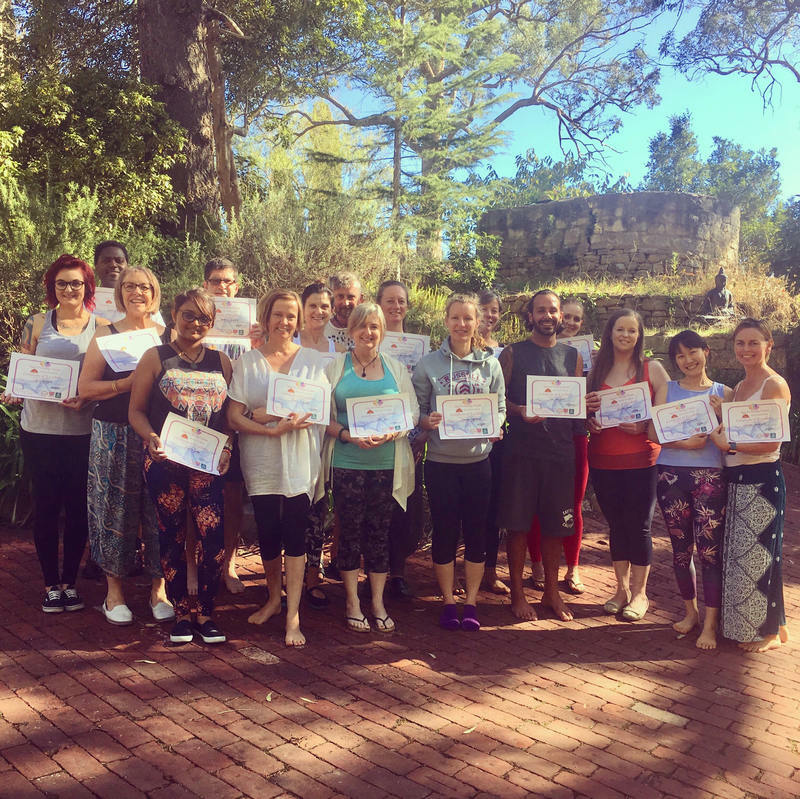 I'm pleased to report that the community yoga classes we established will be continuing on and SBCC will be scheduling them. The Probation Department decided to pause the yoga program at Central Juvenile Hall to respect the process of our transition and honor our commitments we established early on. I am working on this and yoga will return to incarcerated youth very soon! As far as URY itself, we will continue to focus on the important stuff: self-care, healing for the healers, social and juvenile justice, prison reform and leadership initiatives. I will be working with the Board to determine how it can be structured more sustainably to meet its mission and collaborate with interested parties aligned with our cause. Please reach out with any ideas! This has been a challenging process for me and for others, both emotionally and physically. It would be impossible for this to occur without some kind of apprehension moving forward. But I believe it is the right thing to do. URY will evolve into a better place regardless, but to me its more important that the movement that we started continues on. And it will. In your thoughts, in your words and in your actions. Thank you all for your dedication and support for all that we do! Please stay in touch while URY is on sabbatical, and you can find me here or at Yoga For Healing Trauma. With this program I will be holding trainings and I have several upcoming speaking engagements to carry on our good work! Gratitude and thanks to all of you who believe in me.